If you are looking to change the color of your natural hair, you need to make an educated choice as to which shade to choose. 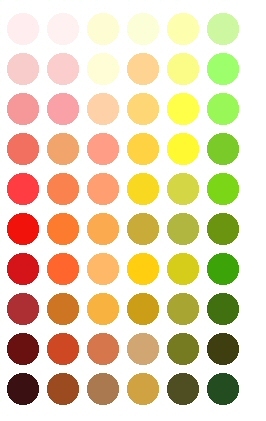 Not every color will work on every skin tone or with every eye color. There are also some colors that will not compliment certain natural hair colors. So, before you dye your hair, take a moment to read this article so you can make the right choice for you. Generally speaking, when dying your hair, it’s best to stay within 2-3 shades of your natural hair color to avoid an abnormal look. Also, it is best to avoid going lighter than your skin tone, as doing this will make your hair appear unnatural. If your skin has a pinkish hue to it, you should stick to ash tones and avoid golden blonde and red colors. If you have a pale hue to your skin, you are one of the lucky ones and can go with almost any color. But if you are white, avoid really dark colors as they will make you appear sickly. If you have a yellowish hue to your skin, you should go with a deep red or dark brown color and avoid yellow, orange and gold colors to prevent your hair and skin from being too much of a match for each other. If you were blessed with brown, hazel or green eyes and you have a warm skin tone, you should choose a warm toned hair color such as red, dark gold or an auburn shade. If you were blessed with blue or grey eyes and fair skin, you should go with a cool toned hair color such as ash or light gold. Now with that being said, there are people in this world that have been blessed with fair skin and dark eyes or warm skin and blue eyes. If this is your case, you may find that your natural color is the best for you. It may be the only one that suits you just right. When you are changing your color from light to dark, it’s relatively simple. Usually it will come out the color you’re expecting as long as you follow the instructions. When you are going from dark to light, however, there is the chance that you may end up with the same color that you started with. Some people may have to strip their hair of the natural color (this is called bleaching) before a dye can be applied. You usually run into this when your natural hair color is a very dark color. When all is said and done, people assume that you can simply walk into the store and grab a box off the shelf that looks pretty, go home, put it on, and then shake your head like they do in the commercials, and you will instantly have hair that looks like they do. But unless you have a team of five hair stylists crammed in your purse, it isn’t going to happen that smoothly for you. It will require some work on your part, but the end result will be well worth the effort. Hair jewelry is a fashion trend on the rise. We have not only seen this on the red carpet, but also in premier bridal magazines. Hair jewelry in the form of hairpins, hair combs, headbands and hair sticks are embellished with rhinestones, crystals and/or pearls for an elegant sparkle that can dress up any outfit, on any occasion. Flowers and feathers are becoming quite popular as wedding day hair accessories also. Brides and the bridal party can add sparkle to their ensemble that doesn’t stop at the necklace or earrings. 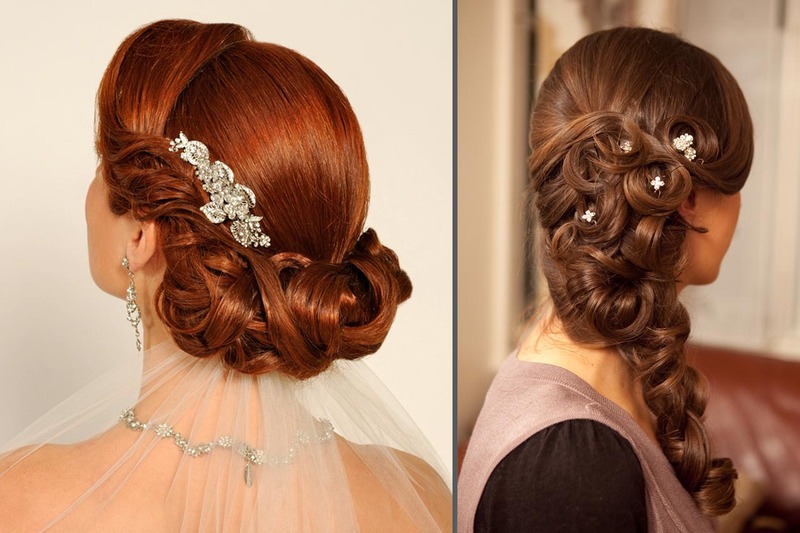 Beautiful hair jewelry isn’t just for the wedding. Special occasions such as prom, quinceanera, pageants, homecoming, sweet sixteen, and parties are all celebrations worthy of the addition of elegant hair jewelry and accessories. Whatever the theme of your special event, crystal hair combs or rhinestone headbands are an elegant accessory for long hairstyles. If you are wearing an upswept hairstyle, consider adding a rhinestone, pearl, or feather hair comb, at the side or back of the head to achieve sparkle from all angles. You can turn an everyday ponytail into a glamorous fashion statement, for work or party, with the simple addition of a rhinestone barrette. It will give you a put together look without a lot of time or effort. Hair combs adorned with crystal, pearls or flowers are a sophisticated hair accessory for the updo and can act as a frame for the hairstyle. Hair combs come in many lengths and widths, so finding the right one for your look won’t be a challenge. Probably the most popular trend in hair design is decorated hairpins or hair sticks. These accessories are either single stone or clusters of stones attached to the end of a hairpin or hair stick. As these are usually small, many can be sprinkled throughout the hair for a sparkling understated look. They are beautiful when used under a wedding veil for an element of surprise. Hair pins and hair sticks are an excellent accessory for prom, party or special occasion when you want extra flair. For the bride, hair jewelry may be used in addition to a tiara or headpiece for sparkle from all angles and extra pizzazz in your photos. Don’t forget the bridal party; they can coordinate with the bride by wearing similar hair jewelry, less the tiara and veil. These are fun ideas, but don’t let trends dictate your wedding or party fashion. Be true to yourself and allow your jewelry and accessories to make a statement about you! Looking forward to turning heads this summer with some neat highlights? The trendy summer highlights promise you just that. It’s summertime and a makeover is in order. The easiest way to look fab is to get some highlights. Summer’s all about colour and fun. So get creative with hues that enhance your looks. The summer colour palette throws out unlimited options – strawberry, pastels, platinum blonde and more! To get it right make sure they complement your skin tone and eye colour. Quick tip – if the veins on your wrist look green, you belong to the warm group. If it is blue, you belong to the cool group. One of the coolest hair look doing the rounds is the surfer look. It imitates the surfers who spend so much time in the sun that their hair remains dark at the roots, gradually getting lighter towards the ends. If you are a brunette, going all blonde is a no-no. What you can do is go lighter at the ends. Another colour that is working its magic this summer is platinum blonde. However, tread with caution as this needs to be touched up every month, so that the roots don’t show. If you don’t like the fuss and want something less pricey for your blonde hair, beige-gold is the answer. One tip for summer is to use highlights sparingly, whatever colour it is because highlights work best when they contrast with darker shades. Bold shades are ‘in’ this season. 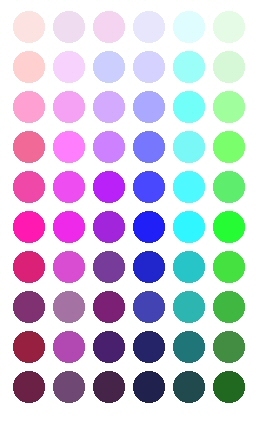 Think purple, pink, red, green and even orange. Red works for both warm and cool tones. The trick is to pick the right shade. Chicas with green eyes will look spectacular with bold red highlights. Pink undertones in your skin calls for auburn over red. To keep your highlights looking fresh in summer, avoid washing your hair frequently and using too much shampoo. The sun is unkind to coloured hair so take care to cover your hair when you are out in the sun. If you swim, chlorine and salt water can both harm your hair. To keep your hair colour safe, wash your hair in fresh water and use a conditioner before getting into the water. There are a number of specialized salons in Atlanta which will take care of your beauty and hair care needs. You can find details about the services at these salons online and schedule an appointment according to your convenience. Here are a few basic tips in order to rejuvenate your hair if it has become dull and lifeless or damaged due to over styling. By following these steps you can keep your tresses looking and feeling healthier at all times. One of the best things you can do for yourself and your locks is to switch to a healthier lifestyle. Eating poorly, smoking and stress can end up damaging your follicles and preventing the essential nutrients from reaching where they need to get to. A healthy body means healthier hair. Getting a proper nights rest will help rejuvenate your hair. When you sleep your body uses this time to restore your bodies’ immune systems levels which lead to healthier hair. Sleep deprived people have been proven to have weaker immune systems which can lead to some hair loss conditions so make sure you are getting plenty of rest. Hair products that are made with alcohol can dry out and damage your hair so if there is not alcohol based product you should use that in order to minimize the drying out of your hair on a repeated basis. You should also try to avoid applying styling products directly to your scalp as they can block your hair follicles and inhibit hair growth. Using a blow dryer excessively can damage your hair as well by over drying it. Try not to blow dry your hair in one spot for more than a few seconds and instead using a back and forth motion and a comb in order to dry your hair more effectively without damaging one particular spot. If you have the time then you should towel dry your hair to get the excess moisture out of your hair and then run your fingers through your hair to straighten it and then let it air dry. That way you will do the least damage to your hair follicles. Always comb your hair gently and be careful when combing wet hair as this is when your hair is at its most vulnerable. Try to let your hair almost completely dry before running a comb through it. Try to use combs and brushes that have soft bristles such as ones made from natural animal hair and use combs that have widely spaced bristles to lessen the strain on your hair. Buy shampoo and conditioners that work best for your hair type so you will receive the maximum benefit from each time you wash it. Use warm water to wash your hair as water that is too hot can damage your hair quite a bit. 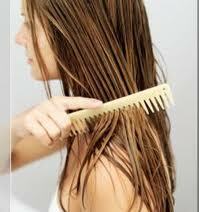 As to frequency you should wash your hair as often is necessary to keep it clean and healthy looking. If you have oily hair you can wash it daily and if you have dry hair then you can wash it 2-3 times a week as needed. A general rule for any hair is to wash it every other day but you will have to judge for yourself how often your own hair requires washing but every other day is fine for most hair types. You should wash your hair as often as you feel necessary to keep it clean, but a general rule is for oily hair you should wash it every day or every other day and for dry hair only wash it 2-3 times a week. When using any styling tools to create your styles make sure they are of good quality so they won’t excessively damage your hair when you use them. Ensure that they have some sort of heat control mechanism and that they don’t get excessively hot. These days a good majority of women are putting on shorter hair in order to compensate for less time in the morning to work on the hairdo, but for the spring of 2011, look for longer locks on women, even the working woman. Women are coming to terms with the fact that longer hair can actually be easily cared for while shorter hair may take extra work in order to tame those curls or to set the hair in the spikes that look nice. Flat short do’s are becoming don’ts for spring of 2011, with a far softer and more feminine look coming to the fore. Long soft curls or long sleek locks with a bit of body are making the scene at the workplace and in the home and gym. Long hair can be easy care, it simply requires a style that permits you to finger comb and go like some of those tousled short do’s used to be. The second reason why short hair is making it’s way out and slightly longer styles are coming into play in 2011 is that this year, its all about movement. The slight sway that longer hair can offer. Styles are going to appear to be moving even if they are well locked into place with gels or sprays. Clever cutting styles and easy techniques to add height and volume will make even the most well styled and laid down hair appear to have movement. Another important concept for 2011 is a brand new look called the candy floss texture and style. Its very soft, extremely feminine to view and has a very matte finish to it, rather than a high gloss type style. A spray of sea salt or salt water is offering this great new look and then the hair is backcombed to achieve the effect of softly flowing hair even if its been gelled into place with a vengeance. The soft side part or a center parting is back in style with the pouf that was last year on its way out again, but along with the part comes a soft fringe or a blunt cut set of bangs that will lend some softness and some swing to the style that you’re sporting.The newest look is an arc cut bangs that add some swing and some softness, gently framing the face. This type bangs though can be difficult to maintain so if you’re not someone who regularly makes it in for a haircut, you’ll want to consider a blunt cut bang in order to get the effect a bit more longer lasting and low maintenance. It is true that these days we have multiple products to choose from for our hair. Yet, why would we choose a professional hair product instead of the cheaper, nonprofessional products? As a cosmetologist I have spent a lot of time researching the quality of professional salon products versus the cheaper, mass marketed, nonprofessional products. Professional hair products are tested extensively to ensure safety, quality, high concentration, and effectiveness for hair. They always come with a money back guarantee which speaks volumes. Products are tested on live models to assure that their testimonial always has the result desired. Not only do consumers use these products, but stylists use them in the beauty salons and give their expert opinions back to the companies about the quality rendered. Stylist’s opinions are used to review the marketed products, and we stylists can be very favourable or critical because an excellent hair product used on a client’s hair is essential to a stylist’s customer retention. Companies offer toll free numbers that a consumer can call for any questions about a professional product, which is also a guarantee of quality also. Nonprofessional hair products are made for mass production and therefore they are not of exceptional quality. Many of these products have high concentrations of alcohol, detergents, and other harsh chemicals in them that can damage the hair and skin. Along with drying out the hair and skin, these can strip out perms and salon color from your hair. 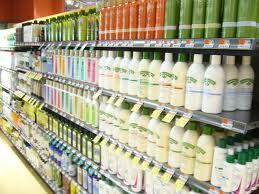 Many of these products are not truly ph balanced for the hair, and can leave it dull and drab, or even fly away. Mass manufactured department store hair products have heavy concentrations of wax substances in them also, which can lead to hair loss. The hair loss is caused due to build up of the wax additives in the product that accumulate on the scalp. This can smother the hair follicle and the ultimate result is hair loss. I have witnessed this hair loss many times with new clients who have been using these cheaper versions of shampoos and conditioners. At first the hair products that claim luxurious shine and manageability seem to work. After several shampoos and conditioning treatments however, the wax buildup is evident from the dull lifeless hair and greasy scalp. It will take a salon clarifying treatment to remove the wax build up from the hair and scalp. Nonprofessional hair products are not tested thoroughly enough, tried, and proven for the health and beauty of the hair and scalp. That is why they are offered at a cheaper price. You get more value in the long run when you pay a little more for a better quality, highly concentrated, professionally tested product, that is guaranteed to give you the results you are looking for. I have personally tested both kinds of products on my own hair to experience the difference in quality first hand. My research still proves that professional products work better for the hair and scalp versus their less expensive counterparts. I will be writing more on this topic as well!